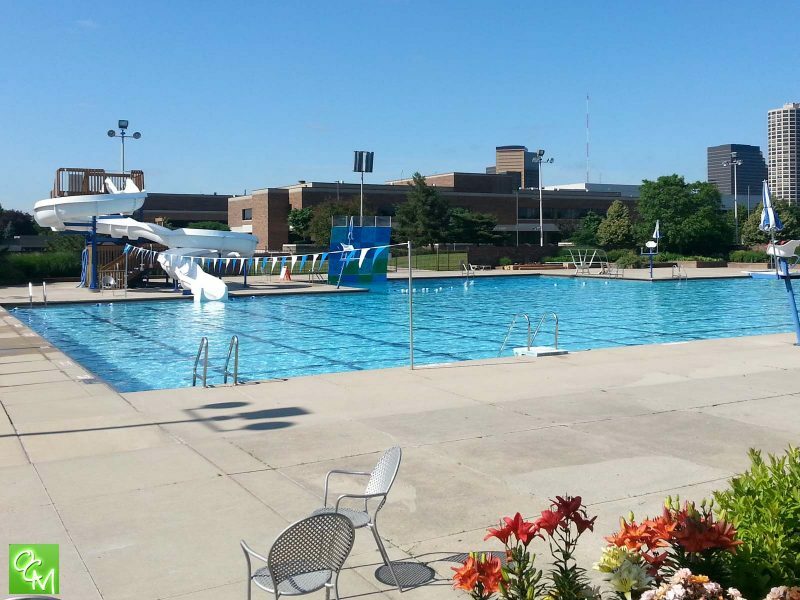 Southfield Parks and Recreation Summer Camps – Southfield Parks and Rec offers fun weekly summer camp (day camps) for kids ages 4-18 all across Metro Detroit MI. Children can enjoy arts and crafts, field trips, swimming, sports and making friends all summer long with a variety of theme and specialty camps! Camp is for ages 5 & 6 and meets from 9a– 4:30p, Monday through Friday. Small, informal groups enjoy sports, games, arts and crafts, swim time, nature activities and field trips. Every day child will need to bring a swimsuit, water shoes, towel, sack lunch and two drinks. Half Day options are available. Latchkey is available for an additional fee. Southfield Parks and Recreation, 26000 Evergreen. Call 248-796-4620 for more information. Camp & latchkey are located in the Parks and Recreation building, Room 115. Camp is for ages 7 & 8 and meets from 9a–4:30p, Monday through Friday. Small, informal groups enjoy sports, games, arts and crafts, swim time, nature activities and field trips. Every day child will need to bring a swimsuit, water shoes, towel, sack lunch and two drinks. Latchkey is available for an additional fee. Southfield Parks and Recreation Summer Camps, 26000 Evergreen. Call 248-796-4620 for more information. Camp and latchkey are located in the Southfield Sports Arena. Camp is for ages 9-13 and meets from 9a–4:30p, Monday through Friday. Small, informal groups enjoy sports, games, arts and crafts, swim time, nature activities and field trips. Every day child will need to bring a swimsuit, water shoes, towel, sack lunch and two drinks. Latchkey is available for an additional fee. Southfield Parks and Recreation, 26000 Evergreen. Call 248-796-4620 for more information. Camp and latchkey are located in the Southfield Sports Arena. Camp is for ages 5-13 and meets from 9a–4:30p, Monday through Friday. Small, informal groups enjoy sports, games, arts and crafts, swim time, nature activities and field trips. Every day child will need to bring a swimsuit, water shoes, towel, sack lunch and two drinks. Latchkey is available for an additional fee. Beech Woods Recreation Center, 22202 Beech Road. Call 248-796-4670 for more information. Camp and latchkey are located in the Beech Woods Recreation Center. Ten one-week sessions beginning June 17 with last session beginning on August 26 (No camp week of July 1-5). Camp is for boys and girls ages 7-16, and meets from 9a – 4:30p, Monday through Friday. This camp will teach the fundamentals of basketball; ball-handling, shooting, passing, defense, and teamwork. Games with a clock and scoreboard will be played daily. Coach McKalpain is a former Wayne State basketball player who played with NBA stars George Gervin, John Long and others. Please wear basketball attire, gym shoes, and bring a healthy lunch and plenty of water. Latchkey is available for an additional fee. Beech Woods Recreation Center, 22200 Beech Road. Call 248-796-4670 for more information. Camp is for boys and girls ages 7-16. Junior golf camp focuses on fun as the kids learn everything from club names and golf etiquette, to how to make solid contact with the ball. Lunch can be purchased for the week at check-in on the first day of camp for $20. Sorry, no latchkey is available for this camp. Camp is for ages 10-18 and meets from 9a–12p Monday through Friday. Alisha Love and staff will combine having fun with learning how to pass, serve, spike and set. Learn drills, show your skills and have thrills! Competitions will be held on the last day. No latchkey service available for this camp. Camp is for ages 3-6 and meets from noon – 12:30p on Tuesday, Wednesday & Friday. This camp offers an early introduction to volleyball to develop an appreciation of this ultimate team sport. Campers will develop hand and eye coordination along with their motor skills as they work through drills and fun games. Camp will use a much lighter ball and balloons for drills and games. Parents are welcome to join in on the fun. Camp is for ages 6-12, drop off is at 7:55a and pick up is at 4:35p at the Southfield Parks and Recreation Building. Oakland County Parks’ Camp Oak-ventures consists of County Park tours and spending time in the great outdoors. Campers will – make waves at the waterparks, stroll trails on guided nature hikes, learn about the stars in our Star Lab, participate in archery, rock wall climbing and soaring through the air with a free standing zip-line. Campers will also spend their days running through inflatable obstacle courses, playing mini golf, doing crafts, and participating in wacky games. Trained summer camp staff and OCPRC bus drivers will pick up participants and transport to and from the County Parks each day. Campers are required to bring a lunch, 2 snacks, refillable water bottle, sunscreen, socks, tennis shoes, bathing suit and towel to camp each day. Camp registration includes t-shirt, all park entries and tickets throughout week of camp. Call 248-796-4670 for more information. Camp is for ages 5-12 years old as of July 8, and meets from 8a-noon at the Arts and Activities Building. From decoding messages to metal detectors and night vision, campers have the opportunity to check out spy tech equipment and take home lots of gadgets like spy glasses. Figure out the science of forensics in a hands-on look at crime scenes. Become a super spy and learn clever ways of performing tasks as we take on a hands-on investigation of the science that spies use. Camp is for ages 5-12 years old as of July 15, and meets from 8a-noon at the Arts and Activities Building. Mad Science has teamed up with NASA in a quest for exploration. Take a voyage of discovery into the atmosphere and beyond and explore planets, moons, and other space phenomena in the solar system. Learn about the various technologies that make space exploration possible while bouncing lasers around the room. Kids will love to build their own Mad Science rocket, and participate in a real “NASA” style rocket launch. Campers will receive many cool NASA take homes, including a cosmic disc, a Shuttle Copter, and more. Mad Science is the ONLY organization licensed by NASA to use these activities for summer camps and school programs. Camp is for ages 6-12 years old as of July 22, and meets from 8a-noon at the Arts and Activities building. Learn about archaeology and the techniques scientists use to excavate long lost cities. They discover ancient civilizations and the tools and artifacts they used in everyday life. They also study bone fragments, pottery shards, amber deposits, and fossils to understand what they can tell us about history. Each class includes a make and take home project, like a fossil reproduction, an amber time capsule, and coins from around the world. Camp is for ages 6-7 years old as of June 17 and meets from 9a-noon at the Arts and Activities building. Make your favorite animals come to life using paints, collage, sculpture and more, while learning about animal habits and habitats. There will be cool artwork, games, stories, activities, animal talk and music. Campers should bring a snack and a water bottle. Camp is for ages 8-11 as of June 17 and meets from 12:30p–3:30p at the Arts and Activities building. If you LOVE animals and nature, and want to make awesome art projects while making new friends too, then this is the camp for you. Welcome to the jungle of wildlife art. Campers should bring a snack and a water bottle. 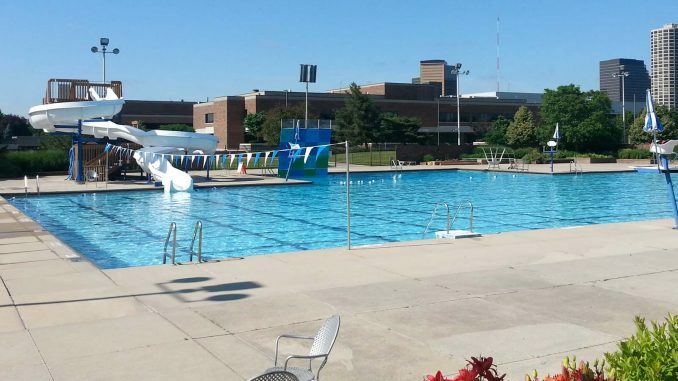 Sign up for Southfield Parks and Recreation Summer Camps today.